We’d like to introduce you to a great resource – Steer Planet. 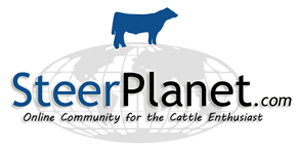 A free website used as an online forum and marketing tool for cattle producers. Recently Jason Koch, the creator of Steer Planet, answered a few questions to explain his business a little more to us. I grew up an active member in 4-H, showing both sheep and cattle. I received a computer science degree from Emporia State University, but had a passion long before in programming and web design. 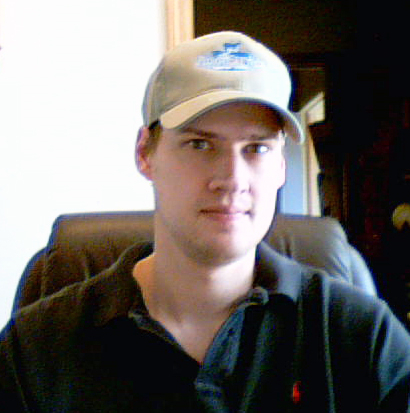 Jason, the ever-so-techsavvy-dude, used his webcam to take this self portrait! 2. When did you start Steer Planet? I started in it in March of 2006. 3. What was your inspiration for the site? My brother, Michael Koch DVM, needed a website to market his club calves. After designing his site, I looked around at options to promote his site and saw that most sites wanted a significant fee for a listing. I saw the need to build a Free Resource to sell and market cattle. I knew a forum would be the best way to accomplish this and at the time other forums were using antiquated software. The goal and mission statement has always been provide a free resource for the cattle enthusiast and it will always remain free. 4. Any bumps along the way as you developed this business? It is a bit of balance on giving someone the ability to speak their mind, but making sure they are doing it in a way that is respectful to other users and not crossing the proverbial “line”. 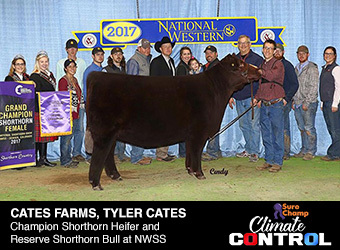 It really stems down to having members that very are passionate about cattle and in the end, no matter which breed you favor, there is always common ground in the fact that you are a cattle enthusiast. 5. How many people work for/with Steer Planet? Just me right now, but looking to add an individual in the near future. 6. Ideally, how do you want producers to use Steer Planet? I want to send buyers their way by listing their website in the directory, and posting their cattle in the classifieds at no cost. 7. What’s your favorite feature? Free Classifieds, because I see so many people make connections. On a recent survey, I had more than 10 people respond that they have sold over $50,000 on the site. 8. If someone was new to Steer Planet, what would you tell them about your site? Become active in the site and jump right in and start posting. It really is a community, and I know that people have formed friendships and partnerships off the site after corresponding on Steer Planet. If you don’t already have one, we recommend getting an account – after all it’s FREE! P.S. 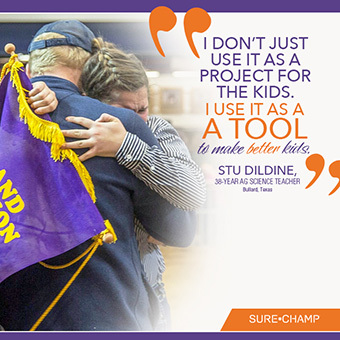 – Remember to post your #SCphotoaday photos on Instagram! We’d love to see what you come up with. Today’s post is Black & White.